Argentina’s President Cristina Fernandez de Kirchner says she is convinced the death of federal prosecutor Alberto Nisman was not suicide. Alberto Nisman, 51, was found shot dead in his apartment on January 18. The prosecutor probing Alberto Nisman’s death said it appeared to be suicide. In a letter published on January 22, Cristina Fernandez de Kirchner cast doubt on that theory. Alberto Nisman had been investigating the 1994 deadly bombing of a Jewish centre. Eighty-five people died in the bombing in Buenos Aires. It was Argentina’s worst terrorist attack. Days prior to his death, Alberto Nisman had accused Cristina Fernandez de Kirchner and Foreign Minister Hector Timerman of involvement in a plot to cover up Iran’s alleged role in the 1994 bombing on the seven-storey AMIA community centre. He died just hours before he was due to give details of his allegations to a congressional committee. 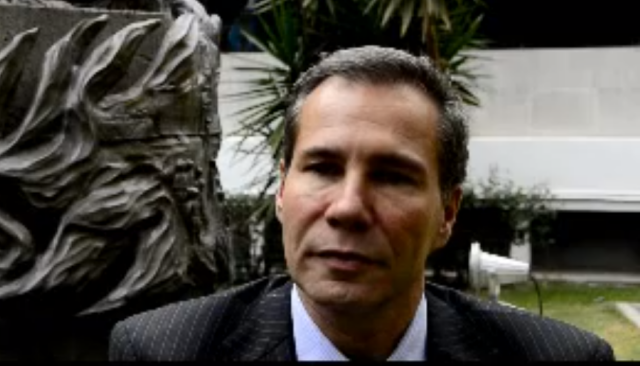 Alberto Nisman based his allegations on intercepted conversations which seem to suggest Argentine intelligence officers tried to whitewash the Iranian suspects in the 1994 bombing. In a 300-page report, Alberto Nisman alleged that after years of tension caused by the 1994 bombing, the government of Cristina Fernandez de Kirchner was keen to improve ties with Iran in order to trade Argentine grain for badly needed oil. Government spokesman Anibal Fernandez dismissed the allegations on January 21 as “absolutely feeble”. In a letter published on her Twitter account, President Cristina Fernandez de Kirchner said Alberto Nisman had been provided with “false information” and that the spies he quoted were not really spies at all but had misled him deliberately. She also referred to his death as “the suicide (I’m convinced) was no suicide”. Investigating prosecutor Viviane Fein had said on January 19 that there had been “no intervention” from others in Alberto Nisman’s death. The prosecutor said the bullet found lodged in his head had been fired at close range from the gun which had been found lying next to Alberto Nisman’s body. Viviane Fein added that the apartment’s door had been locked from the inside and that the key was in the lock. She said there was no evidence of any outside “intervention”, although she did not rule out the possibility that Alberto Nisman had been “induced” to kill himself. Relatives and friends of Alberto Nisman, who had spoken to him in the days prior to his death, said he appeared confident and in good spirits, although he did mention receiving threats. Media speculation about whether Alberto Nisman’s death was a suicide has been mounting as new statements and evidence emerge. On January, it was revealed that a test failed to detect any gunshot residue on Alberto Nisman’s hands. While Viviane Fein said that the negative result could be due to the small caliber of the gun, it reignited suspicion that Alberto Nisman did not pull the trigger. Remarks made by the locksmith who was called to gain access to Alberto Nisman’s flat further fuelled speculation. The man, who only gave his name as Walter, described how it had taken him only two minutes to get in. He said that the service door “was closed but not locked” and that it had been easy to “simply push the key” which was on the inside with the help of a wire. “If someone entered or not, I don’t know,” he added. Apart from the locked main door and the service door, investigators have found a third way into the apartment. They said a narrow corridor housing air conditioning equipment linked Alberto Nisman’s apartment to that of a neighbor. Recent footprints and fingerprints found inside the corridor are currently being tested.